Being the owner of a business is no easy job. In order to ensure a business is successful, the owner will need to take the time to make an adequate budget. Without a firm budget in place, it will be impossible for a small business to get ahead. Starting off with telecommunications expense management and working your way to all parts of your office space is the best way to get the budgeting process started. There are a number of different software programs out there that will help a business owner get a handle on the money they are spending each month. 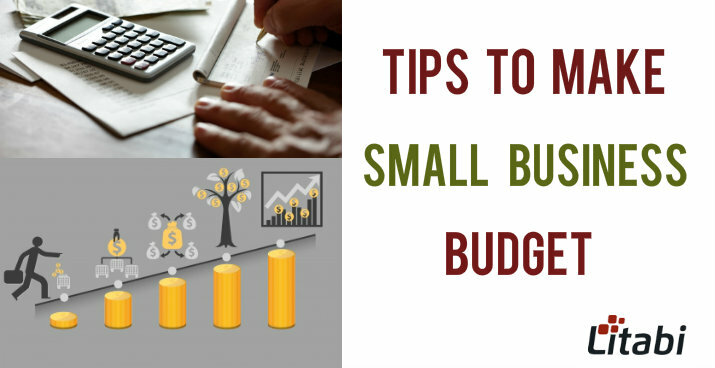 Here are some of the essential tips to use when attempting to create a small business budget. How To Create Budget For Small Business? Following are the good techniques of creating a small business budget plan! The first thing that a business owner will need to do when trying to save money is to evaluate their current phone plan. Most of the telecommunication companies out there will try to sell a business owner on the biggest plan they have. In most cases, a large plan will not be needed. By taking the time to assess just how much time you are spending on the phones in your office, you will be able to figure out which plan is the right fit for your needs. Another source of waste around an office space are the supplies they use. As a general rule, you should only buy office supplies when you are out and only what you need. Many businesses have a closet full of supplies that they will never use. Buying these supplies in bulk can become a source of waste and may lead to you not having money for other necessary purchases. The time that you spend getting a handle on your office supply spending will be well worth it. The next thing that a business owner needs to realize is that it is okay to buy used equipment. Whether it is phones or office furniture, buying used can be a great way to save a lot of money. Before purchasing used equipment, you will have to take the time to do a bit of research. The more you know about the products you need and what the going price on them is, the easier you will find it to get the right deal. It would be better to have an eye on the funds that you have. Prepare a Spreadsheet by including all the expenses and gain that you made. If you want, trim back your expenses and keep monitoring the money flow. If needed, you may hire a financial consultant to get the best budget plan for your business. Preparing the budget for small business is more important and yes calculating the income and expenses would let the business owner implement the new strategies to get the huge profits. Also, the amount of time that is invested into budgeting a small business will pay off when a business owner can save money and spend it wisely into the growth of their business. A simple small business budget strategic plan would also work in achieving your goals and thus be flexible on it. You will need to reaccess the budget technique while making the next plan.